From June, FC Barcelona are offering fans the option of visiting the Camp Nou in a unique way. The creation of the ‘Players Experience Tour’ allows visitors to access the same places as their favourite stars, in small groups. Fans can go into the Barça dressing room, step out onto the pitch and sit in the Ricard Maxenchs press room, amongst many other activities. It's an experience that will make those who visit feel like new signings or first team members. 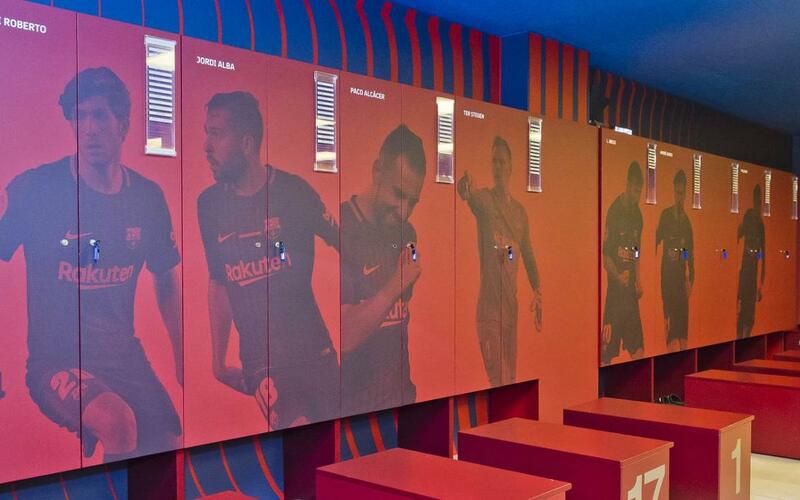 To prepare for this new guided tour, the Barça dressing room has undergone some modifications. All of the players' lockers now have their silhouette printed on it in the club colours, with the image in blue on a claret background. To start the new initiative, the lockers and details are those of the 2017/18 squad. From June 1st, there will be updates according to the possible arrivals and departures to the team. Besides this, and the habitual remodelling done at the end of each season, pictures of goals and historic moments will be added to the corridor through which the fans will enter. It's a new experience that conveys the magic of the Camp Nou.